I remember the day I held these Zambian emeralds in my hand. I was in Kitwe, Zambia’s second-largest city, and had arranged to meet my contact on Freedom Avenue, overlooking the verdant Freedom Park. His name was Palo, and I’d never met a gemstone dealer with more pride in what he was selling. As soon as I saw the stone, I understood why. The stories about Zambian emeralds being as spectacular to the more established Colombian and Brazilian emeralds were true. That day, I vowed to strike a deal with Palo and bring home these gorgeous green beauties for our clients. Today, I fulfill that promise with the Emerald and Opal Promise Necklace. Sixty carats of Zambian emeralds, displaying the purity and lush green color that Palo was so justifiably proud of. The faceted discs of emerald are interspersed with seven fine Ethiopian opals, showing the play of color that famously rivals their Australian counterparts. 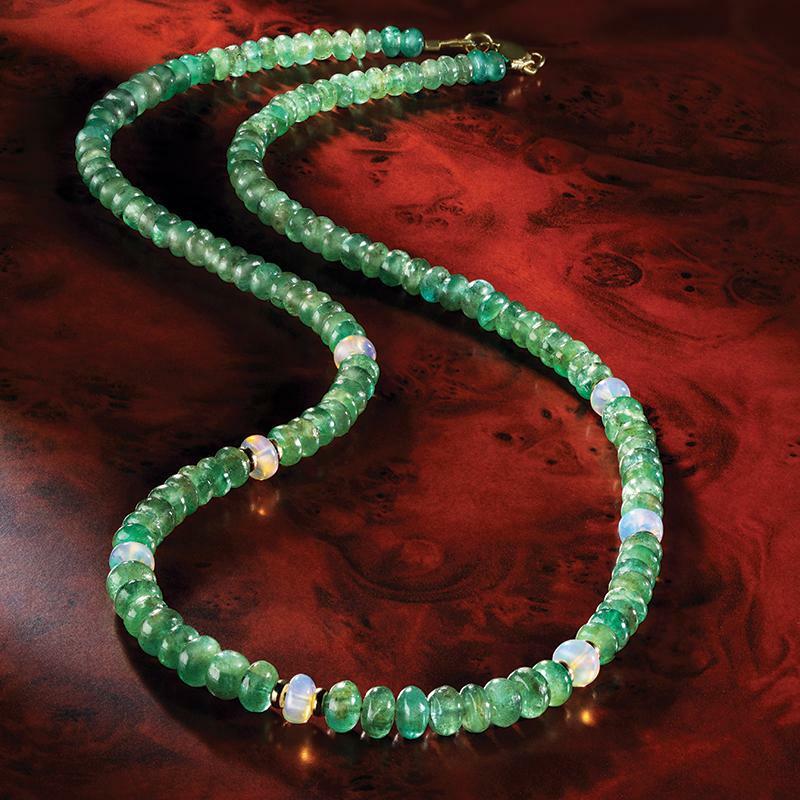 Though the qualities of Zambian emeralds and Ethiopian opals are obvious to those willing to look, many in the jewelry industry are stuck in the past. This is actually good news, because it means we can offer the Promise Necklace and the world-class green of Zambian emeralds for an incredible value, instead of the much higher prices Colombian emeralds of similar standing would demand. As the industry catches up, the price will rise. So get in on the Zambian emerald revolution now, before the rest of the industry arranges a meeting with Palo.